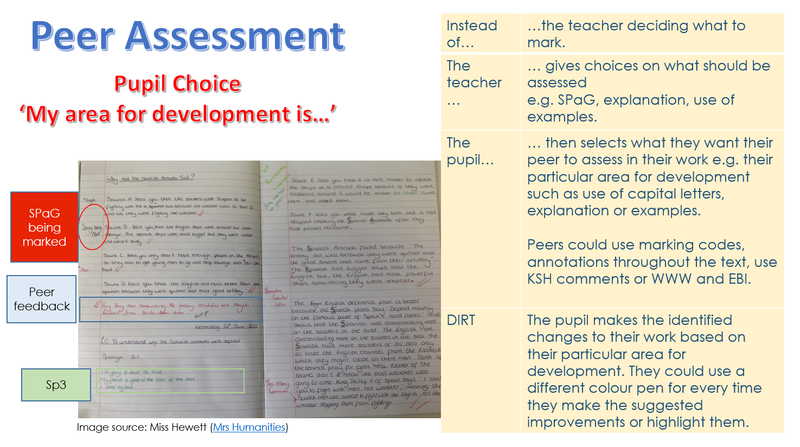 This week I had the experience of leading a marking and DIRT workshop as part of our Teacher Conference CPD day. 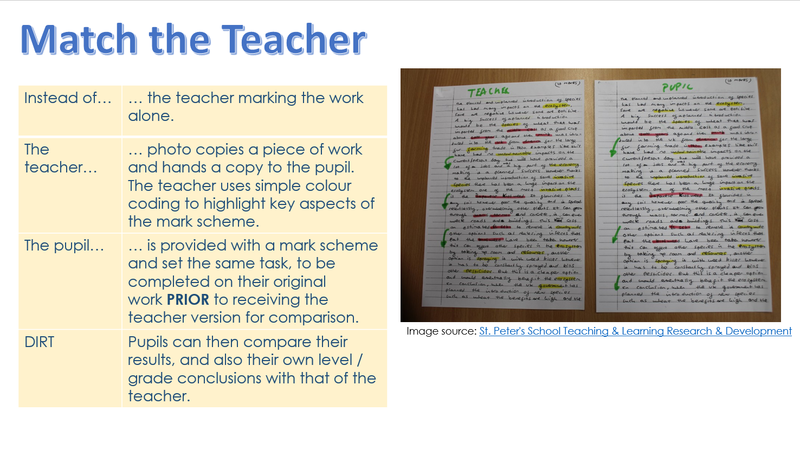 For me, this was the first time I’ve led and organised a CPD session by myself. 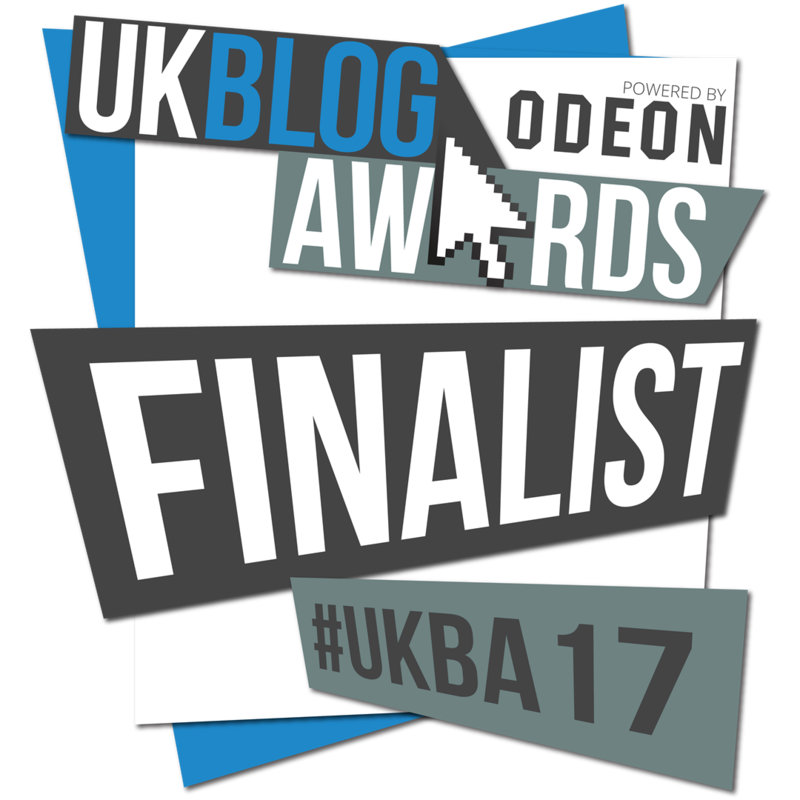 I really enjoyed it and had lots of positive feedback so I thought I’d share the resources from my session here. 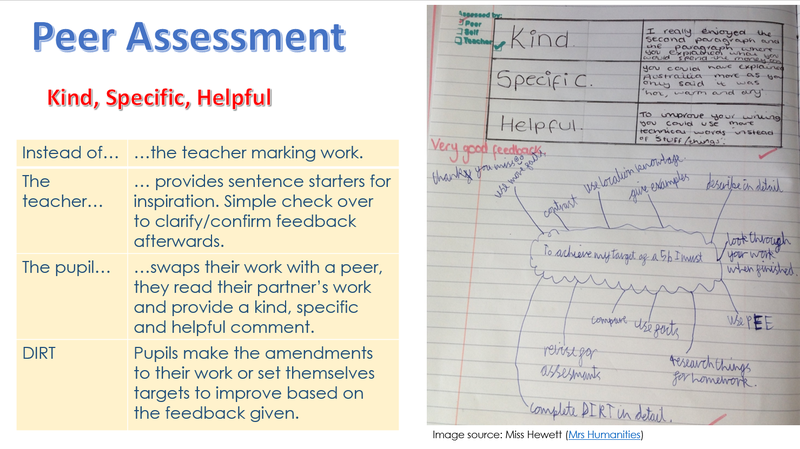 Everyone received a pack of ideas which included ways of providing marking and feedback whether it be teacher assessment or self or peer assessment. 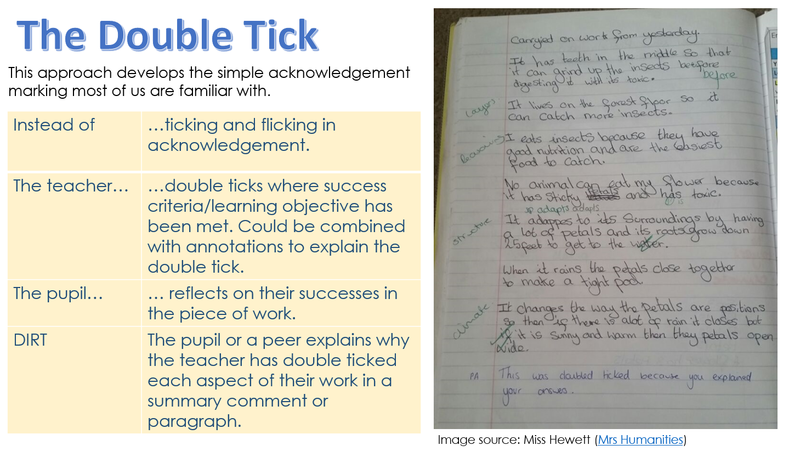 With each idea came an outline of the teacher’s role, the pupil’s role and then how Directed Improvement and Reflection Time (DIRT) could be incorporated. 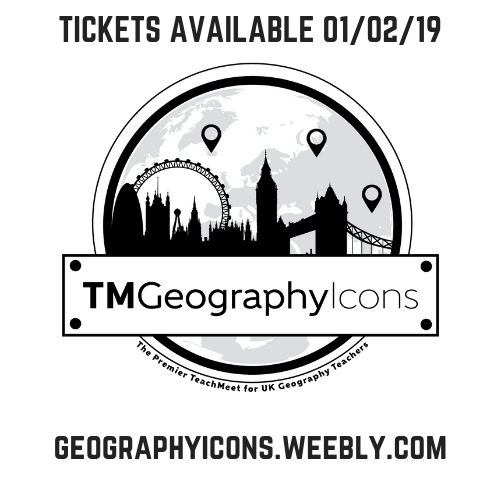 I won’t bore you with the details of how the workshop was then carried out and instead I’ll share with you the resources I used. Some of these ideas I’ve developed myself, others I have picked up over the last 3 years of my career. 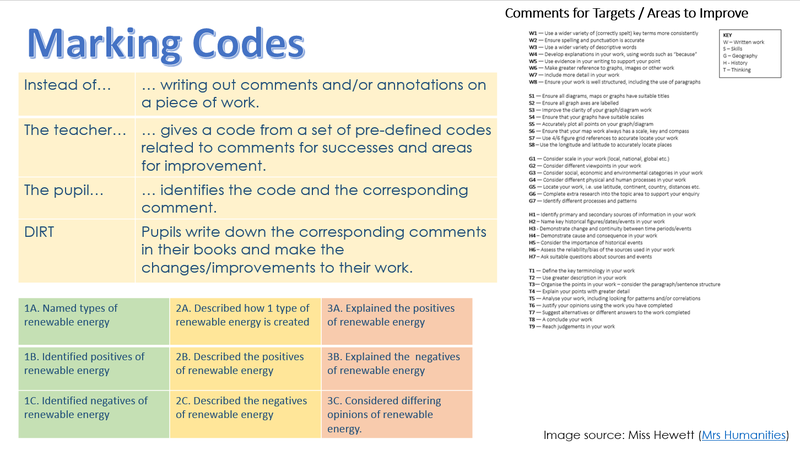 I use the majority of these regularly in my classroom as you can see by all the photos I’ve included, others I’ve trialled but didn’t feel were completely successful or that they suited my way of teaching. However they maybe useful to others so they were included. 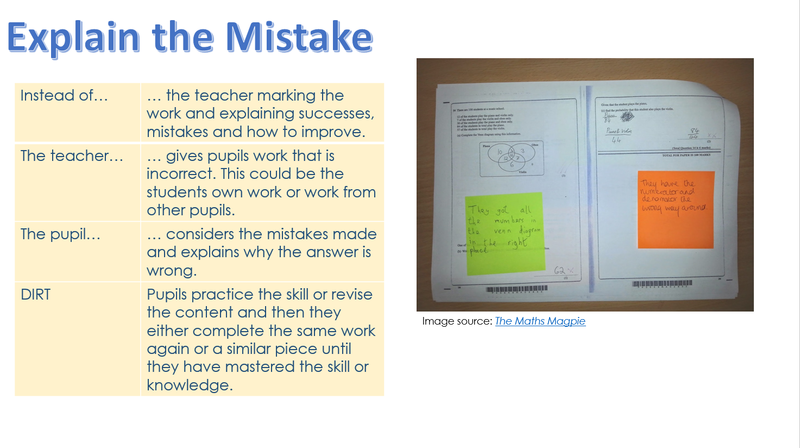 Some I’ve still left to try, I particularly like the ‘Match the Teacher‘ technique and think I will trial this with my GCSE group in the new year. 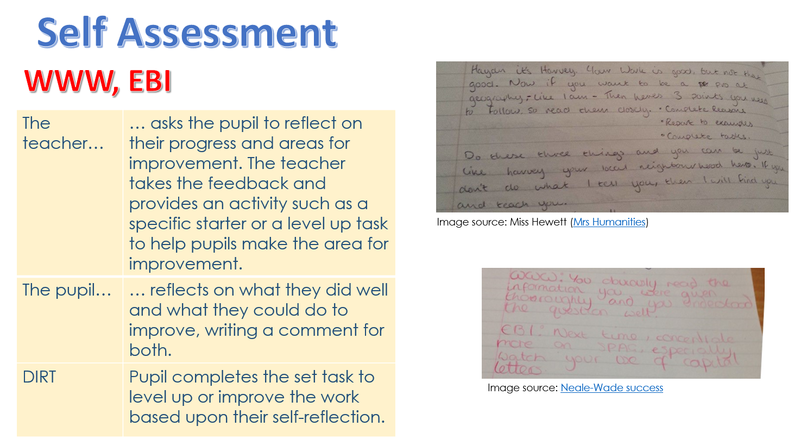 Self and peer assessment has taken time and effort, but it really is worth the investment. 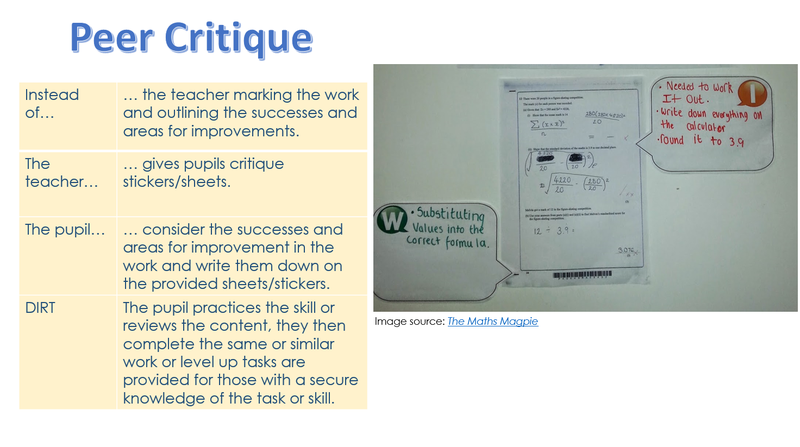 Now my pupil’s have the skill and can provide each other with high quality considerate yet constructive feedback it will set them in good stead for the future. 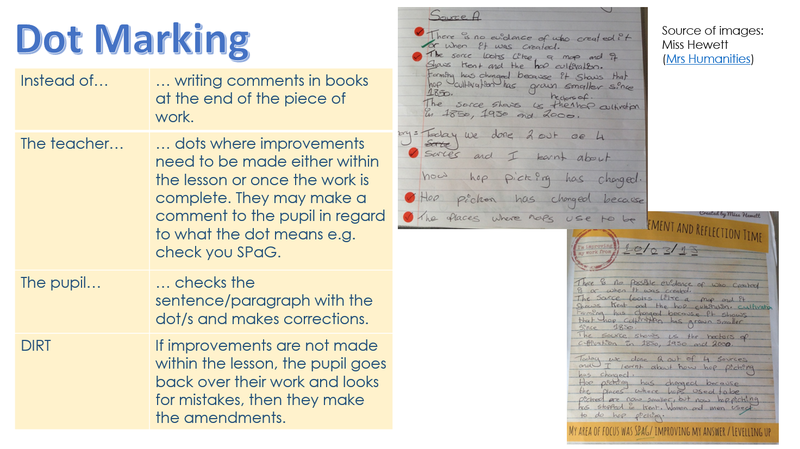 I truly recommend developing right from September in year 7. 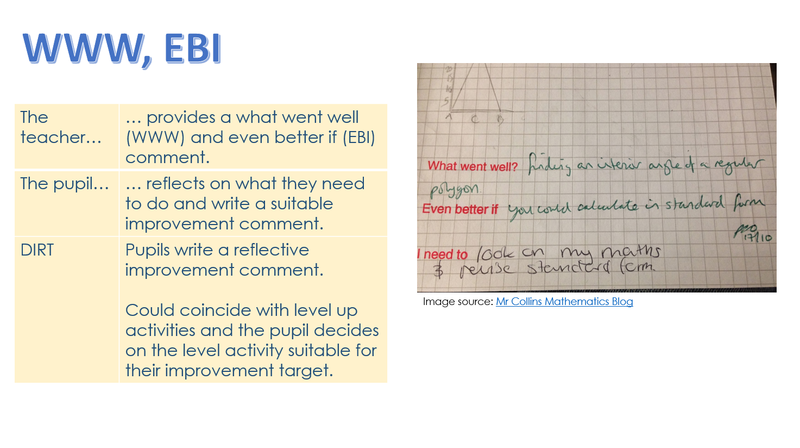 Hope these ideas provide you with some new ideas and some suggestions on how to incorporate directed improvement and reflection time. 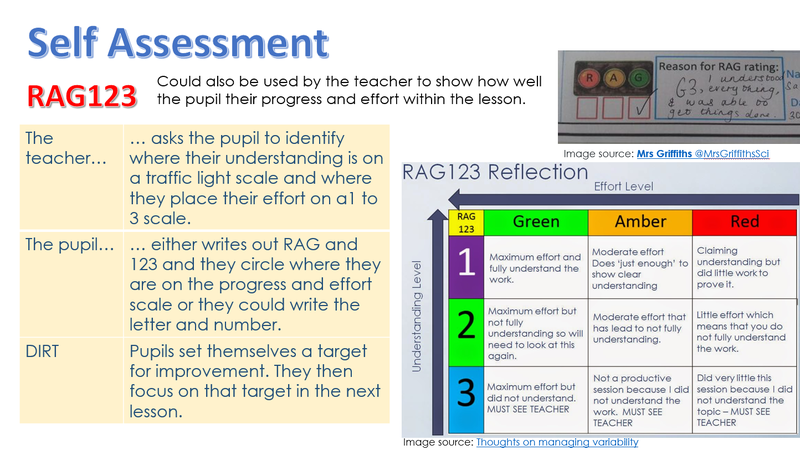 Please note: RAG123 example by Mrs Griffiths was originally by B Yusuf. Sorry for error in original reference. 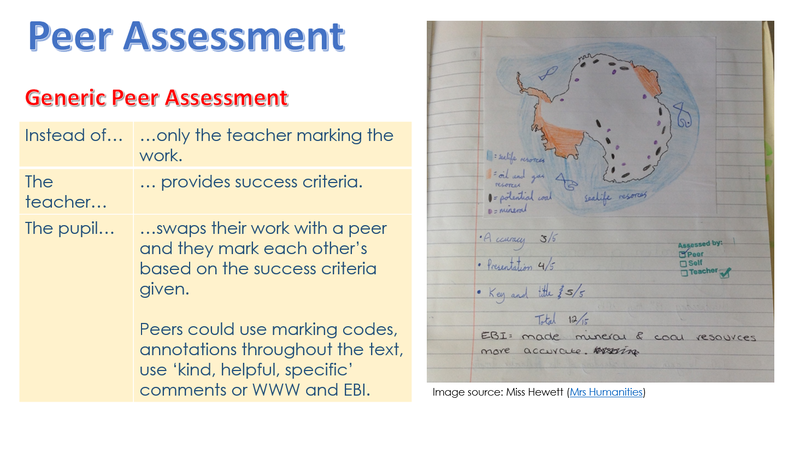 Categories: AFL, Marking and Feedback | Tags: AFL, Assessment, DIRT, DIRT Marking, Marking and Feedback, NQT | Permalink. Some great ideas. 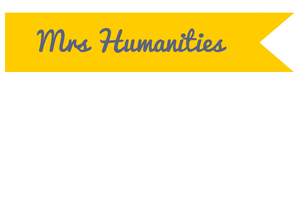 Have recommended to our staff members that they visit your blog in our Teaching and Learning newsletter! Thanks,that’s great to hear. Glad it’s proving useful.